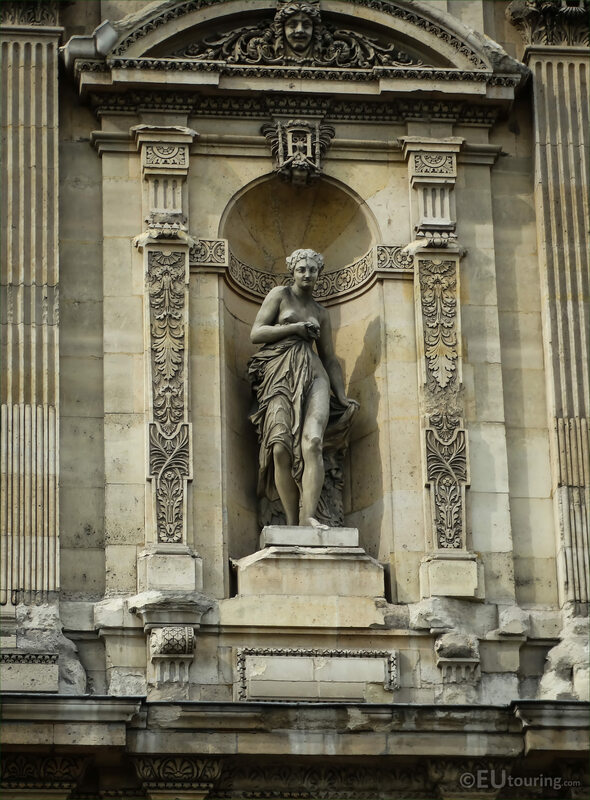 Again while at the famous Musee du Louvre in the 1st Arrondissement of Paris, we took these high definition photos of a statue called Nymphe, which was sculpted by Jean Baptiste Eugene Farochon. This first HD photo shows the allegorical statue depicting a Nymphe, and as you can see this is located in an ornate niche and can be found on the facade of the Grande Galerie Orientale wing of the former Palais du Louvre. 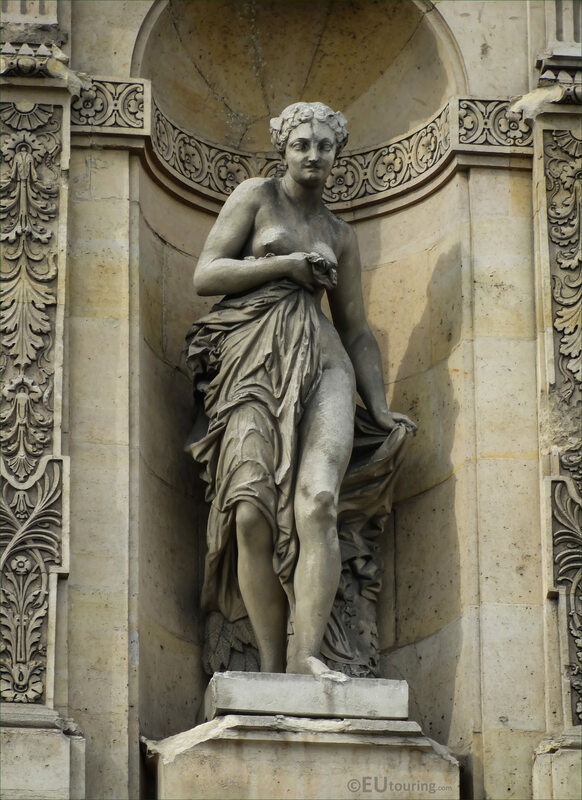 So, a Nymphe is actually a minor female nature deity in Greek mythology, and can also be spelt Nymph, and it comes from a Latin word nympha, and this statue was put in place in 1857. 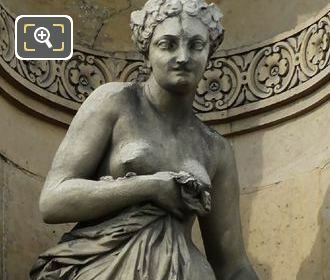 Now this stone statue was produced by Jean Baptiste Eugene Farochon who was born in Paris in the March of 1812 and is often referred to as just Eugene Farochon, and entering the Ecole des Beaux Arts he became a French sculptor, but also an engraver. He received commissions for historical buildings such as the Palais de Justice along with the Palais du Louvre when the city was being transformed and decorative embellishments were being added to numerous tourist attractions around the city, and Eugene Farochon was awarded the Legion of Honour in 1859.